In times when nobody wants to be on the second page of Google search results, web push notification came as a knight in shining armour and saved the world from gloominess. There was a time when this power was vested in mobile apps only. But with the expanding user base, the same dynamism is now gifted to the websites. 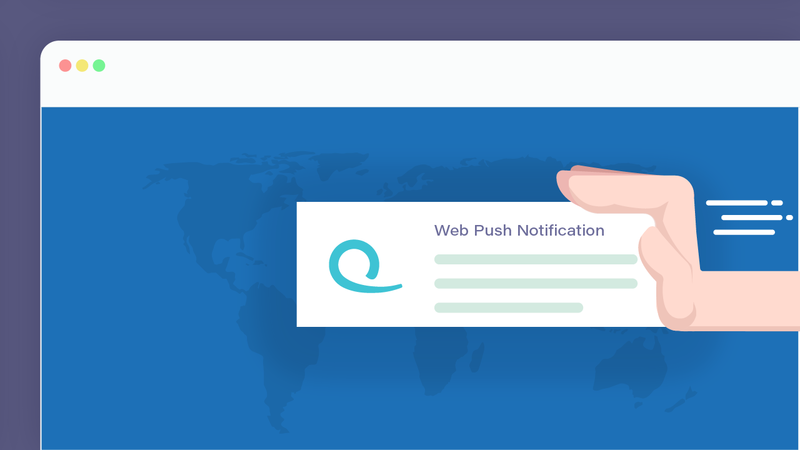 Now with web push notifications across websites, you can reach your target user in a sincere, candid yet simple style. Chemistry says that mixing a bunch of ingredients can make up a new element but missing a crucial one can lead to an entirely different arrangement of atoms. The world of search engines works in a similar way. Because of it’s complex and gigantic nature, there is a huge demand for content which is both suitable and apposite to user’s requirements. And as the owner of the website, you must cater to those demands. It is important to understand why web push notifications are crucial for your business. You have done the keyword filtering, applied all social media marketing techniques, did some hefty search engine optimization, but still you are missing the ‘heavy traffic’ on your website? That’s because you missed a significant something- Web Push Notification. Like I said before, until now these notifications belonged only to the world of mobile applications. But what if you don’t want to make an app for your business? This is exactly where you need a good ‘push’. A user visits your website, finds the content fascinating but does not wish to give away his email id. Now, if you have a web push notification feature, then he just needs to click on ‘allow’ on the notification pop up. And next time when you have something equally refreshing for your user, all you have to do is click on ‘send notification now’ and your users will be notified immediately. It’s easy. It’s quick. It’s engaging . It’s faster than the email and has 30 times higher conversion rate than the traditional email push. So with every click on ‘allow’ button, you have access to an innumerable base of users without knowing their email or any other contact details, which means they don’t need to download or install anything and you don’t need to swarm any email ids for getting your content noticed (which sometimes fails to deliver or goes to the spam folder). The most amazing part of push notifications is that the user doesn’t need to keep that specific website open to receive them. The notifications are delivered to their device even when the tab is closed. And what if my computer is asleep, you say? Do not worry my friend; your notification will be delivered the moment you turn it on. There is a reason why push notifications have higher opt-ins as compared to emails. The tech savvy user wants to get engaged with your services but does not wish to commit or pinned to the website by providing his email id or other relevant details. This is where this nascent technology plays its trump card, both for the users and the owners. Also, unsubscribing from receiving the notifications is much easier and they can do it anytime without having to fill any bothersome feedback forms. Keep all these things in mind, have relevant notifications, and rest assured about the desired ‘click rate’.